The Secondary Teams Association later emerged as the Metropolitan Catholic Colleges. It offered competition in football, cricket, and swimming. Thus was formed an association of Catholic boys’ colleges in the city of Melbourne as distinct from a Catholic country sporting organisation. St Kevin’s College (formerly known as CBC Toorak) departs the ACC and joins the APS. St Joseph’s Marist Brothers’ College, North Fitzroy, joins the ACC. Salesian College, Chadstone, joins the ACC. St John’s College, Braybrook, joins the ACC. St Paul’s College, Altona North, joins the ACC. St Joseph’s College leaves the ACC. In 1979 St John’s College became a Junior Secondary College; Chisholm College was formed to cater for co-educational senior secondary classes. Both Colleges constituted one member in the ACC. Salesian College moves from the ACC to the Eastern Independent Schools (EIS). The late 1980s saw a further broadening of the range of sports offered as part of the ACC and the introduction of junior competitions in a number of additional sports. Chisholm College withdrew from the Association at the end of 1987, but St John’s Braybrook continued to compete in the Junior and Juvenile sections of the Athletics, Swimming and Cross-country competitions and the Year 10 competitions of the other sports. St Joseph’s Pascoe Vale also withdrew from the Association in 1988 and Cathedral College, East Melbourne with Trinity College, Brunswick, both feeder Colleges for CBC North Melbourne, formed a combined squad to participate in the three major carnivals. Increasing concern at the one-sided nature of many matches and competitions due to the ever-widening gap in enrolments between some Colleges led to the creation of the Division 1 and Division 2 competitions in some sports in 1990. Geelong competed in the First XVIII, Division One, Football competition by invitation commencing in 1992. To cater better for younger students a series of one-day competitions was introduced in the second half of the 1990s for Year 7 and 8 students. In 2000, Samaritan College (an amalgamation of Redden Preston and St Joseph’s North Fitzroy) joined as a full member of the ACC whilst Trinity College Brunswick and Simonds College West Melbourne both joined as Associate members which enabled competition in Carnivals and Rally Days, but not weekly fixtured competition. 2001 saw Trinity Brunswick withdrawing from ACC competition and the introduction of Debating and Music to extend the ACC program of activities. 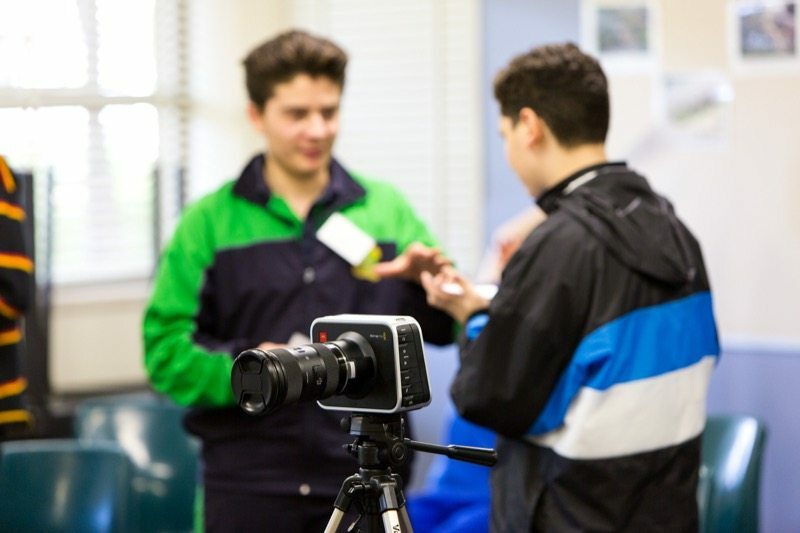 As further demonstration of the ACC’s commitment to provide students with a diverse range of activities, an ACC drama workshop was held for Yr 9/10 boys for the first time in 2005. To complement the thriving Debating program, Public Speaking was added to the list of ACC activities in 2007. At the conclusion of 2008, Samaritan College closed, ending their involvement with the ACC. The property in Preston was purchased by Parade College and from 2009 set up as their second campus. Following legal advice, the ACC Principals made the decision to become an Incorporated entity. The new name of the Association became “The Associated Catholic Colleges Incorporated” and the new Rules of the Association were adopted. In late 2009, St. Joseph’s Melbourne closed its Junior Campus in Pascoe Vale. St. Joseph’s Melbourne closed its Senior Campus at the end of 2010, ending a long and proud history of involvement in the ACC. The North Melbourne campus was eventually set up by EREA as an alternative educational setting. Badminton was added to the sporting program for the first time, with tournaments for Junior, Intermediate and Open competition. The second Art & Technology exhibition was held in April / May of 2015, with the event moving to a new venue – the culturally and religiously significant Abbotsford Convent. With growing interest from TV shows such as Masterchef and My Kitchen Rules, the ACC added a new event to the annual calendar – a Culinary Competition. 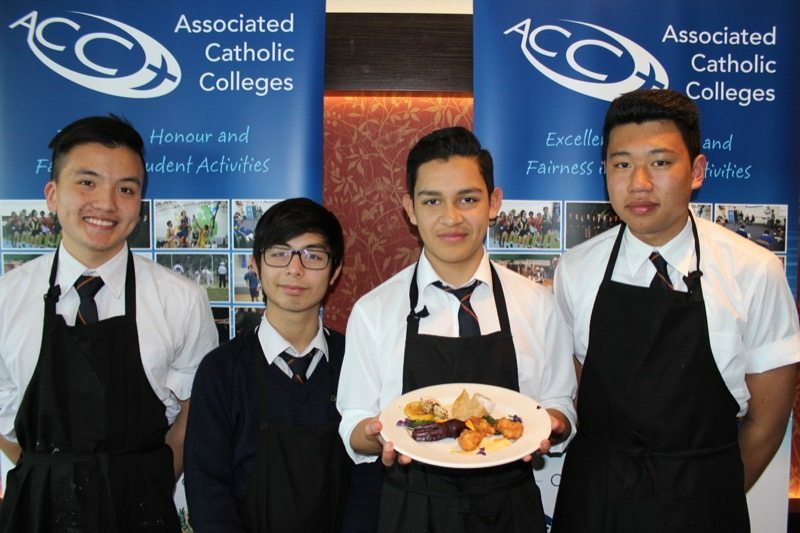 The event was hosted by Holmesglen Institute in Glen Waverley, with teams of 4 students working collaboratively to produce a chicken based dish…. Following significant interest, the ACC conducted its first triathlon event in March 2016 in conjunction with the Sole Motive TriSeries. Six schools were represented by almost 60 students in the swim / ride / run event held at Sandringham. The ACC welcomed a new member school to the Association at the beginning of 2017 – St Joseph’s College in Ferntree Gully.